Um, who else just realized that it’s almost Halloween? And the homemade costume you planned on making isn’t quite finished started? 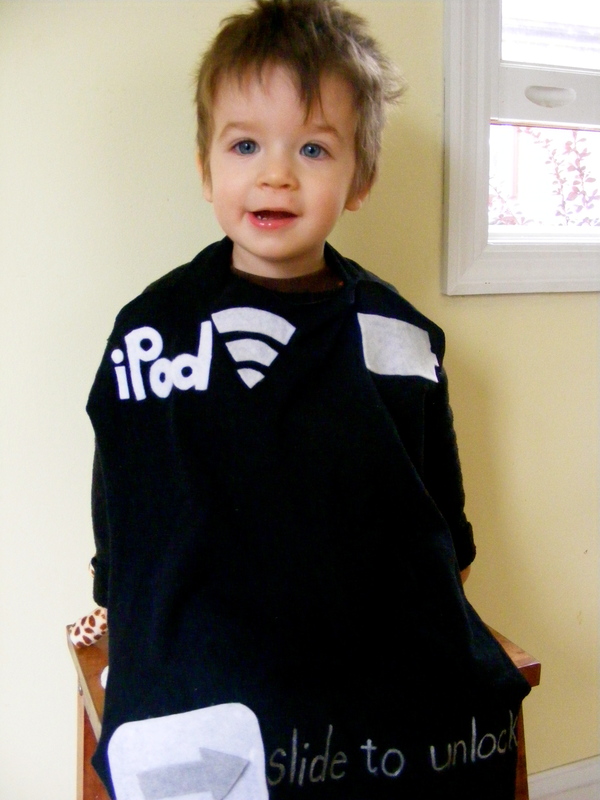 But it’s not too late to whip up a quick Halloween costume for you or your little one! 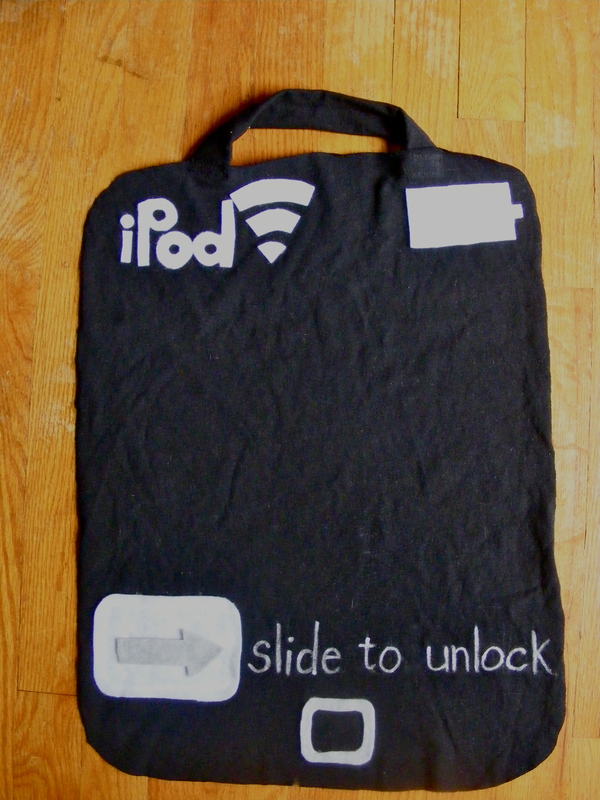 You may have seen me post how to make an iPod (or iPhone… or iPad) costume over on The Train to Crazy, as part of her Handmade Dress up Series [which you need to check out if you haven’t yet!] but just in case you missed it, here’s the full tutorial. If any of you have kids like mine, they love technology. My one-year-old absolutely loves to take my iPod [he could even say iPod before he could say his big brother’s name!] 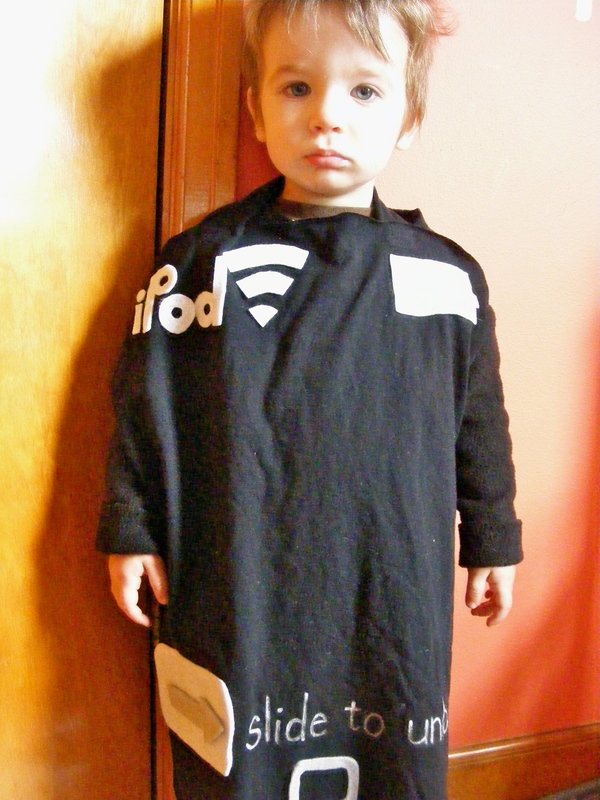 so I thought it would be so much fun to make him an iPod costume! This tutorial is super easy and could even be completely no sew. I made the costume so that it’s easy to get on and off, and could also be put over a winter coat if necessary… because in Wisconsin, you just never know! Fabric Marker – I suggest white/silver/grey – I used one with glitter! 1. 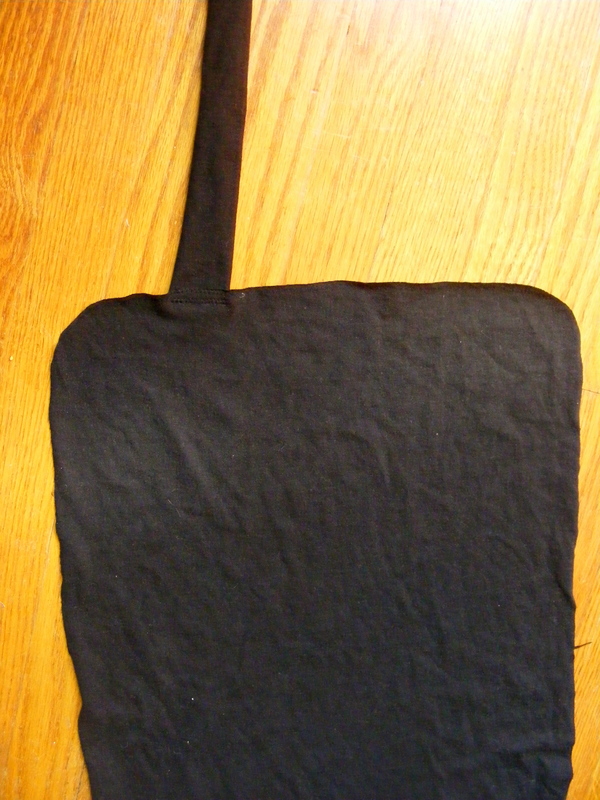 Cut a rectangle of black fabric, and round the corners. The length will depend on how tall your child is. 2. Cut a strip of the same fabric a couple inches wide and long enough to drape over your child’s neck – mine was about 11in. 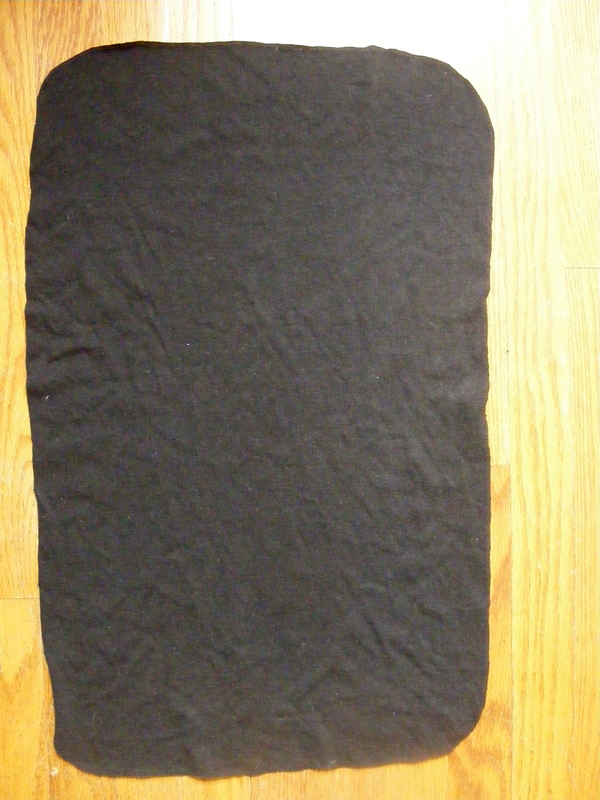 Fold it in half and zig zag along the long side to sew it into a long tube. Turn the tube right side out, like in the picture. 3. 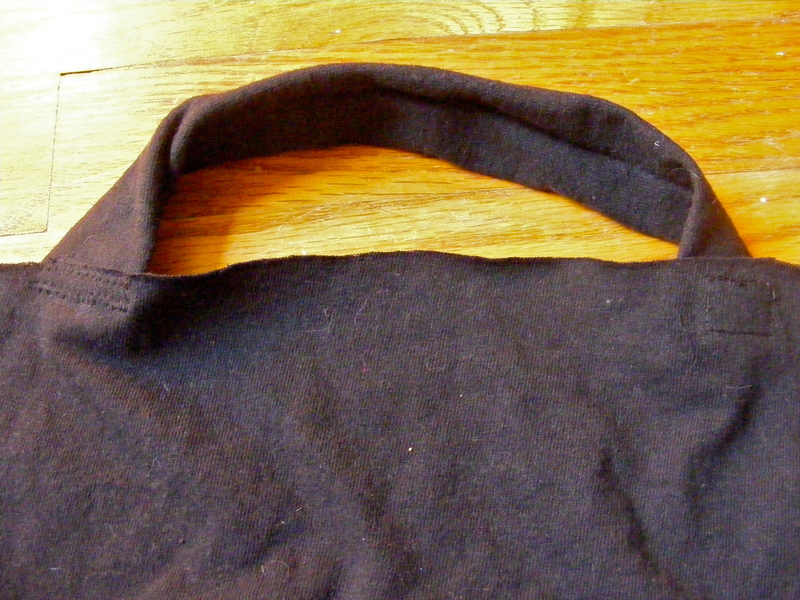 Attach one end of the tube to the top of the main piece of fabric with a zig zag stitch – near the corner. This will be the strap to go around your child’s neck. 4. 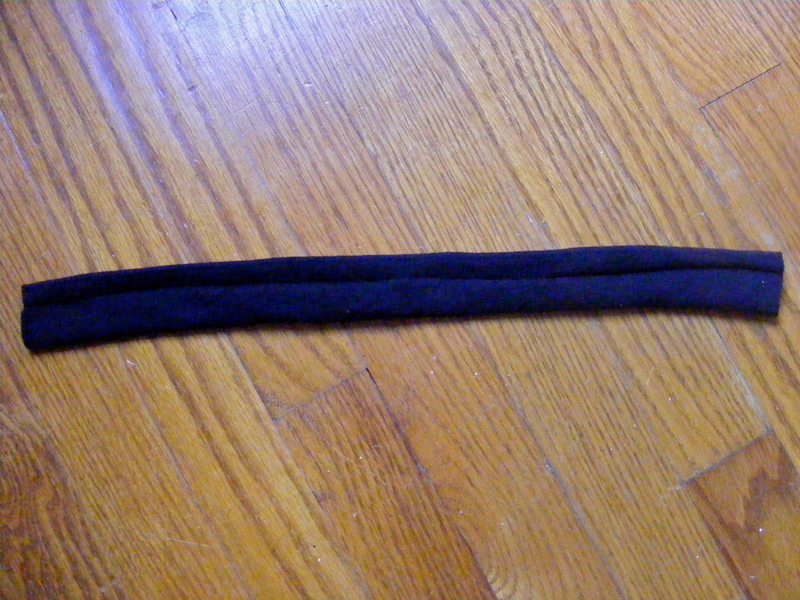 Attach velcro to the other end of the strap (you can sew it on or use fabric glue). Hold it up to your child to see where the strap will fit comfortably around your child’s neck before attaching the other Velcro piece to the main piece of fabric. When it’s done, it should look like the picture above. **For safety purposes, I recommend using Velcro, not sewing on both ends of the strap. This will prevent the risk of choking. 5. 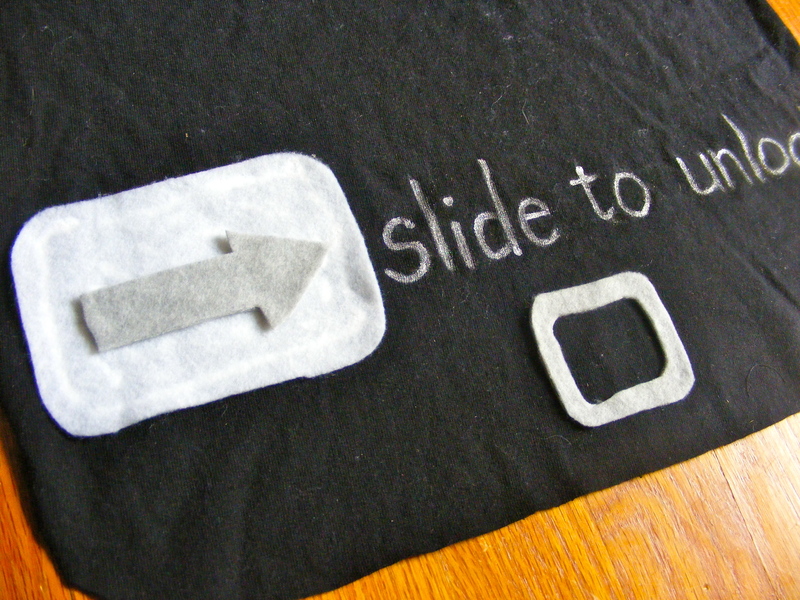 Cut felt/knit/fleece pieces to make the screen of the iPod. Sew them on or use fabric glue to attach. Now to get moving on costume number two…. can I add a few more hours to my day, please?